Los Angeles, CA – In 1980, Belgian-born multi-instrumentalist and songwriter Joel Vandroogenbroeck revived his early ‘70s avant-garde electronic act Brainticket alongside longtime member Willy Seefeldt, jazz musician Hans Deyssenroth, and Swiss jazz & electronic aficionado Bruno Spoerri. Three years later the quartet would perform their very first show in a landmark performance at the “Computer und Musik” symposium in Zürich, Switzerland. Though long a part of Brainticket lore, this concert has never before been released on a commercial format, that is, until now! Purple Pyramid records is proud to release this incredible live performance, matched with an equally historic performance in 1984 at the Théatre de Beaulieu in Lausanne, Switzerland of Vandroogenbroek and Spoerri plus Peter Fürst. Both of these full-length concert recordings contain improvisations and compositions not found anywhere else! Zürich/Lausanne is available as both a 2CD set as well as on all digital retailers! Rare & Highly Sought After Coloursound Recordings By Brainticket Founder Joel Vandroogenbroeck Released In An 18CD Box Set! Los Angeles, CA – At long last, the first ever CD release of Brainticket founder Joel Vandroogenbroeck’s much sought after Coloursound recordings presented in a limited edition, sequentially numbered 18CD box set! These rare recordings were released anonymously throughout the ‘70s and early ‘80s on the German-based Coloursound label, which specialized in ambient soundscapes for use in film and television, and have gone largely unheard except by those who know them to be some of the most progressive, awe-inspiring masterpieces Joel VDB ever committed to tape! 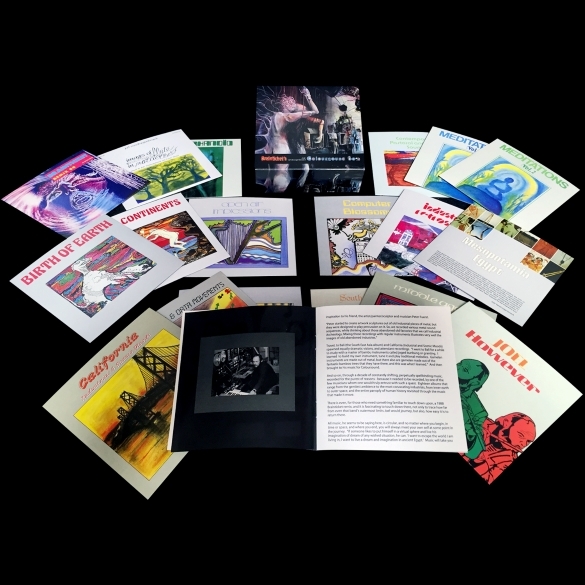 The Coloursound Box also features meticulously recreated artwork from the original Coloursound LPs plus personal reflections on each album by Joel himself alongside additional liner notes by music historian Dave Thompson! The entire package is available now courtesy of Purple Pyramid Records. Belgian-born Joel Vandroogenbroeck was playing jazz in Switzerland when he found inspiration in the new sounds emanating from German krautrock artists Amon Duul II, Can, and Tangerine Dream. Under the influence of these groups, Joel and guitarist Ron Byer recruited drummer Wolfgang Paap and formed the trio that would become Brainticket. The group’s 1971 debut album Cottonwoodhill immediately ran into a storm of controversy for its association with psychedelic drugs. The album came with a warning label that insisted you should “only listen once a day to this record. Your brain might be destroyed,” which led to the album being banned in several countries including the USA. From then on, Brainticket’s reputation as a band of experimentalists at the forefront of underground, avant-garde music had been solidified. 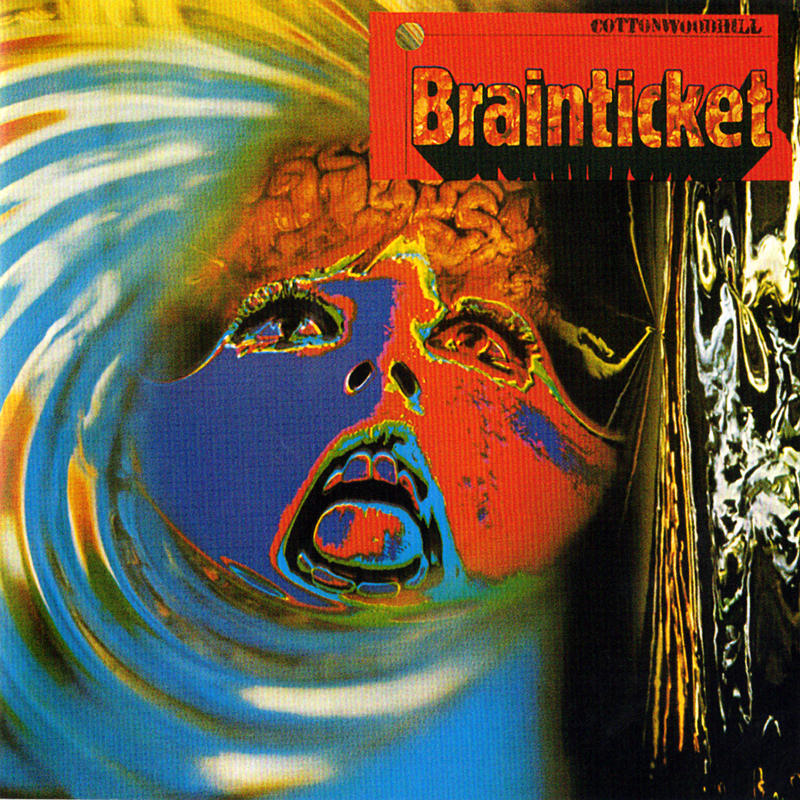 Following the death of Bryer, Brainticket regrouped for 1972’s Psychonaut followed by Celestial Ocean, which told the after-life experience of Egyptian kings traveling through space and time. Released in 1973, the album was hailed as the definitive Brainticket experience and earned the band their greatest acclaim. And Joel has continued to explore new creative avenues over the decades, releasing more albums under the Brainticket moniker, including his most recent offering Past, Present & Future, which was released in February of this year by Purple Pyramids. The Coloursound Box is sure to please fans of Brainticket as well as fans of adventurous, avant-garde music! Warning! Only listen once a day to this disc. Your brain might be destroyed! Los Angeles, CA – Much to the excitement of Krautrock fans and music collectors worldwide, Purple Pyramid Records will be reissuing the seminal 1971 debut album and psych-groove masterpiece by legendary Brainticket titled ‘Cottonwoodhill’ on CD May 7, 2013. Featuring full digital remastering for superior sonic clarity and packaged with extensive liner notes by music historian Dave Thompson! Brainticket is the brainchild of Joel Vandroogenbroeck, a Belgian based in Switzerland who grew up studying classical piano before switching to jazz. He received the Art Tatum prize as “youngest jazz pianist” at the tender age of fifteen, and was soon touring around Europe and Africa. By 1967, Joel was still playing jazz but he found new inspiration in the sounds emanating from German Krautrock artists Amon Duul II, Can and Tangerine Dream.Under the influence of these groups, Joel and guitarist Ron Byer recruited drummer Wolfgang Paap and formed the trio that would become Brainticket. The group’s 1971 debut album ‘Cottonwoodhill’ immediately ran into a storm of controversy for its association with psychedelic drugs. The album came with a warning label that insisted you should “Only listen once a day to this record. Your brain might be destroyed,” which led to the album being banned in several countries including the USA. From then on, Brainticket’s reputation as a band of experimentalists at the forefront of underground, avant-garde music had been solidified. Following the death of Bryer, Joel began exploring electronic sounds, moved to Italy and met an American woman named Carole Muriel. A pair of Swiss musicians, guitarist Rolf Hug and bassist Martin Sacher, followed and the group released 1972’s ‘Psychonaut’. A rock opera collaboration with Academy Award winning film composer Bill Conti (‘Rocky’) followed before Joel began work on a new Brainticket album based on the ‘Egyptian Book of the Dead’. The new album, ‘Celestial Ocean’, told the after-life experience of Egyptian kings traveling through space and time, from the desert land to the pyramids. Released in 1973, the album was hailed as the definitive Brainticket experience and earned the band their greatest acclaim. Joel has continued to explore new creative avenues over the decades, releasing two more albums under the Brainticket moniker, including 2000’s ‘Alchemic Universe’. Recently, he teamed with Cleopatra Records to release the first ever Brainticket box set, ‘The Vintage Anthology 1971-1980’, a 4-disc compilation containing the complete first three albums along with several rare recordings. The box set is a celebration of Brainticket’s enormous contributions to electronic and ambient music that would provide inspiration for progressive bands from Emerson Lake & Palmer to Yes as well as modern acts such as Radiohead. And now, with the re-issue of Brainticket’s debut album ‘Cottonwoodhill’, fans can experience where it all began! Advice… After listening to this disc, your friends won’t know you anymore!